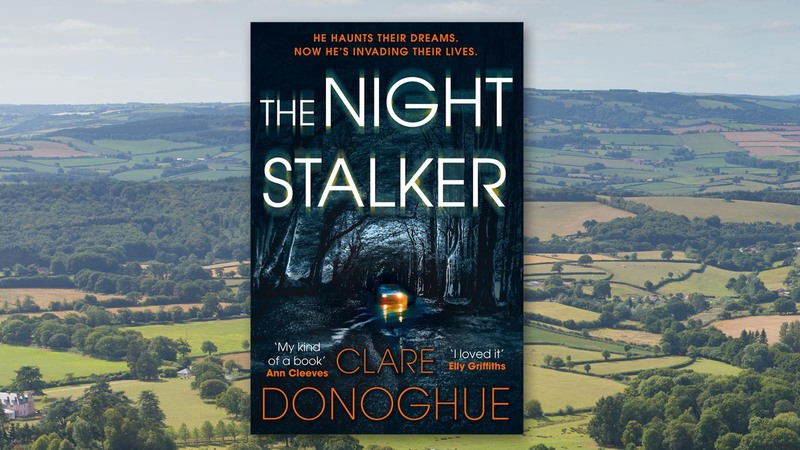 Clare Donoghue reveals how her new DI Lockyer novel The Night Stalker was inspired by a local legend in her home county of Somerset. In my new book, The Night Stalker, DI Lockyer is called down from London’s murder squad to assist the local team in their investigation into a hit and run in Somerset on a remote road in the Quantock Hills, for reasons neither he nor his boss yet understand. Lockyer takes his DS, Jane Bennett with him and it isn’t long before they’re embroiled in a murder echoing one that occurred two centuries earlier. It’s a smorgasbord of myths, legends and murder. Oh my! In 1789 John Walford married Jane Shorney – a marriage forced upon him after Jane got pregnant. In fact, she already had a child by John (and his brother, if rumours are to be believed) but John’s mother had managed to persuade the courts to accept payment for her first grandchild rather than wedlock. But when the same thing happened again, there was only one option. Just six weeks after their wedding John and Jane were on their way home after an evening in The Castle of Comfort. The why’s can only be guessed at, but it’s said John beat his new wife and killed her, leaving her body in Dead Woman’s Ditch. She was discovered the next day. John was arrested, charged and hanged. His body was displayed in a gibbet for a year as a warning to others. With a legend like that how could I resist? I made some initial changes to the plot to incorporate the long-ago tale but before long the myth and folklore had taken root and changed my entire story. And in my humble opinion it’s all the better for it. The compelling new crime thriller from Clare Donoghue, out now in Paperback and Digital. Dead Woman's Ditch. The site of a grisly two-hundred-year-old murder – and a recent hit and run. When a young woman's body is found at the macabre landmark in Somerset's Quantock Hills, DI Mike Lockyer and Sergeant Jane Bennett are called in to investigate. Confronted by a hostile CID team and a murder victim with close ties to their own squad, Lockyer and Bennett will have to accept what they can't see before they can find what's really there . . .